Boston sends Triple-A pitchers Ty Buttrey and Williams Jerez to the Angels. BOSTON — The Boston Red Sox have acquired Ian Kinsler from the Los Angeles Angels to fill in for injured second baseman Dustin Pedroia. Boston is sending Triple-A pitchers Ty Buttrey and Williams Jerez to Los Angeles in a deal announced Monday night. The Angels are also sending cash. Red Sox President of Baseball Operations Dave Dombrowski announced the trade in the clubhouse after the 2-1, 13-inning win over Philadelphia that put Boston a season-best six games ahead of the New York Yankees in the AL East. 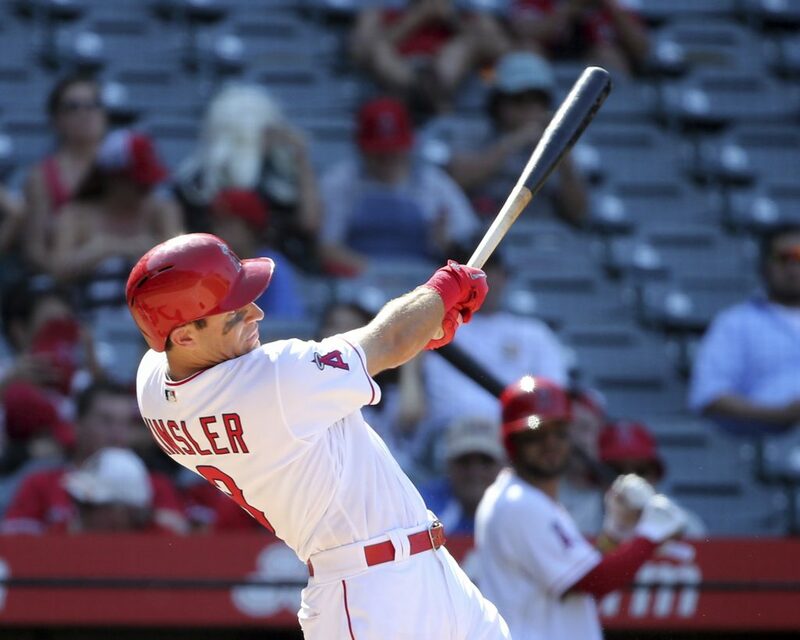 Kinsler, 36, is batting .239 with 13 homers and 32 RBIs for the Angels this season. He is due to become a free agent at the end of the season. Pedroia and Kinsler have been connected since their college days, when Pedroia took Kinsler’s starting job as shortstop at Arizona State in 2002. Kinsler transferred to Missouri the following year. Pedroia has played just three games this year after left knee surgery in the offseason. Dombrowski says it’s likely he won’t be back until very late in the season, if at all.